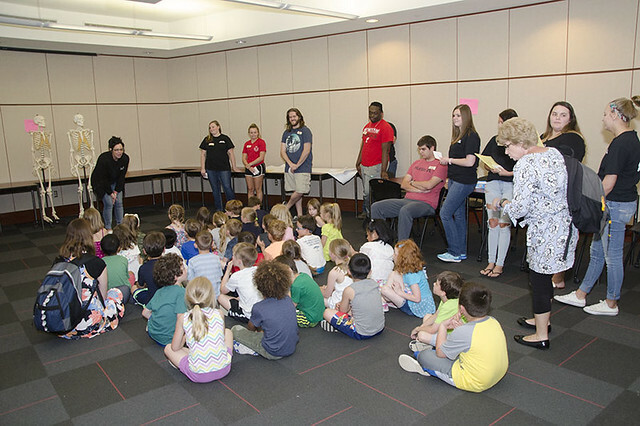 Through programs like Stepladder to STEM, which was funded by Duke Energy, and other similar initiatives, Sycamore Community Schools and UC Blue Ash College have built a strong partnership that provides opportunities for students to learn about STEAM-related programs from faculty and students at UC Blue Ash, while also getting a chance to experience being on a college campus. 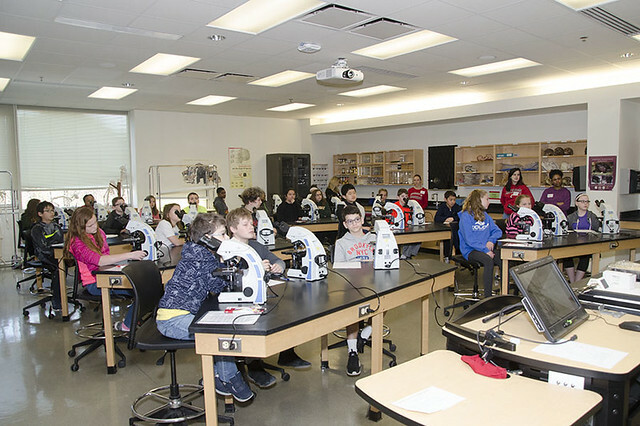 To date, more than 4,000 Sycamore Community Schools students have participated in programs hosted by the faculty and students in a variety of academic departments at UC Blue Ash College. Our biology professors and students lead visiting students through a variety of safe, hands-on experiments. This program, hosted by our pre-health education program, helps students learn fun concepts in math and science using food as a tool. Our nursing program teaches students how call 911 in an emergency and provides supplies to help them create their own first-aid kits. Students learn about chemistry from our professors and students through fun and safe experiments that use dry ice. This program is operated through the Cincinnati Museum Center and includes a visit to our veterinary technology program to learn about animal health with hands-on activities. Professors and students in our radiologic technology program teach students about the bones that make up our bodies and how x-ray machines work. All of the following academic departments at UC Blue Ash College feature programs that support STEAM efforts.